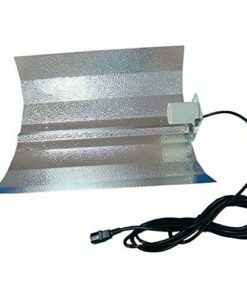 The Original GroStar Parabolic Reflector and Parabolic Reflector Mini reflectors are made from one piece of material, with no joints, to maximise reflectivity. These MIRO reflectors can actually decrease a garden’s artificial lighting requirements by maximising the reflection and spread of light from each source. 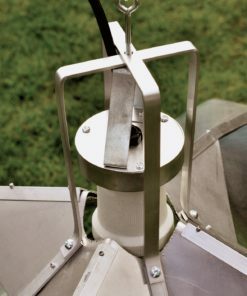 The GroStar Parabolic Reflector is a ‘top of the range’ horticultural reflector designed specifically to transmit light from an artificial source down onto plants. 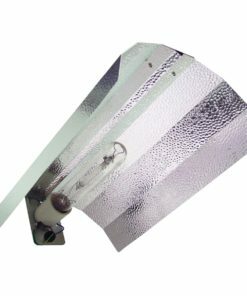 There are many benefits from using the GroStar Parabolic Reflector over other reflectors, as both models create a perfectly even light spread without hot-spots which is ideal for plants growing under artificial lights. 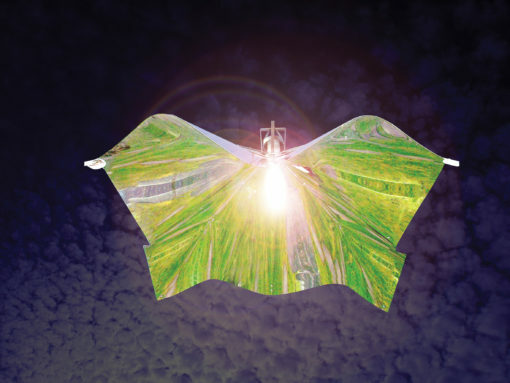 Hot spots are extremely detrimental to plant growth, and all other reflectors on the market produce hot-spots to some degree, although some are better than others. 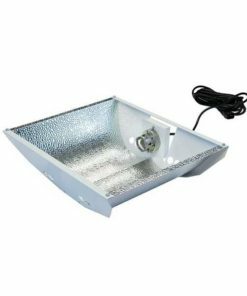 Because the GroStar Parabolic Reflector completely eliminateshot-spots it virtually eliminates pyramidal growth patterns in plants meaning that they grow strongly and evenly even around the edges of the light projection. We’re so confident that we guarantee it! 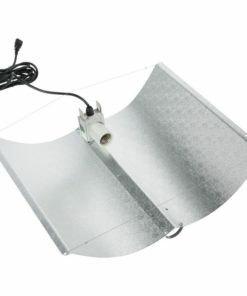 There really is nothing like a GroStar Parabolic Reflector. 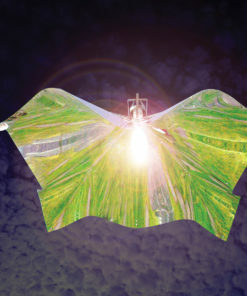 Why Use a GroStar Parabolic Reflector? Over 15 Years Sales History! A simple formula exists for positioning the GroStar Reflector. For every centimetre of vertical height between the bottom of the bulb and the plant canopy, the direct projection will be2.5 times that height. 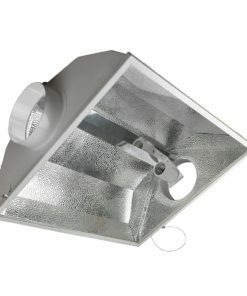 Eg: 60cm bulbheight creates a 150cm square projected light area. 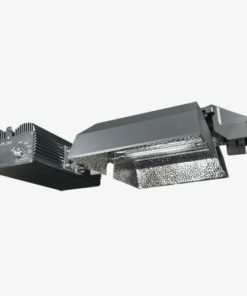 The indirect projection allows the spacing between GroStar units to be 3 times the height of the bulb. 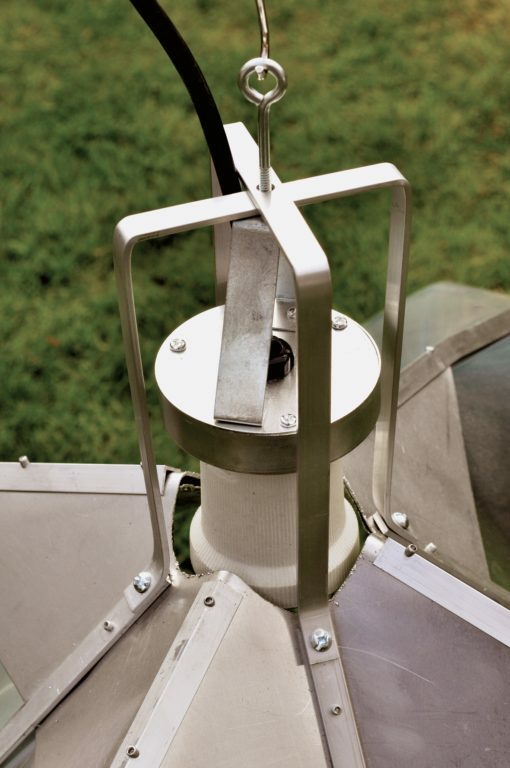 Eg: 60cm bulb height will require a 180cm gap between GroStar Parabolic Reflector units. 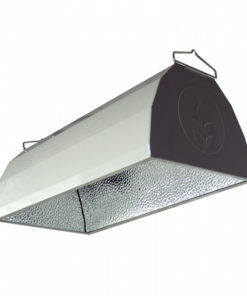 CAUTION: Lowering the bulb height below 60cm is made at the discretion of the grower. We advise against doing this as the highly reflective materials used in the manufacture of the GroStar can cause very high light levels, placing unusual demands on environmental control mechanisms. 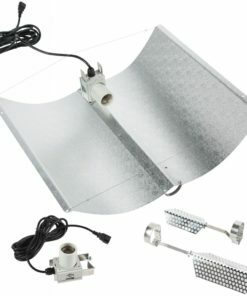 Watch our YouTube video on how do GroStars Parabolic Reflector work.